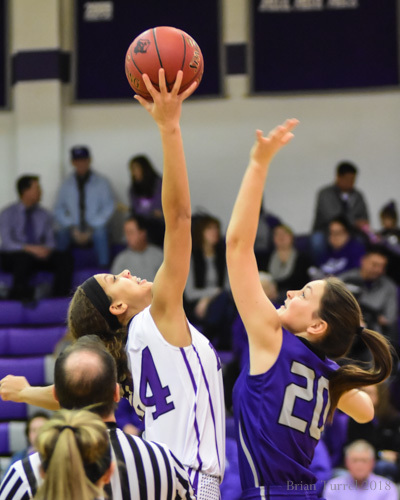 Lady Pirates swarm Louisburg 66-17 – Welcome to Wyandotte Daily! 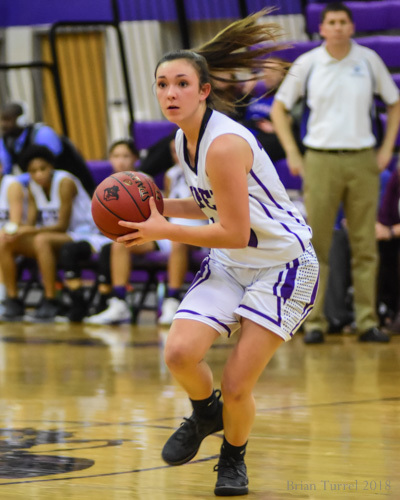 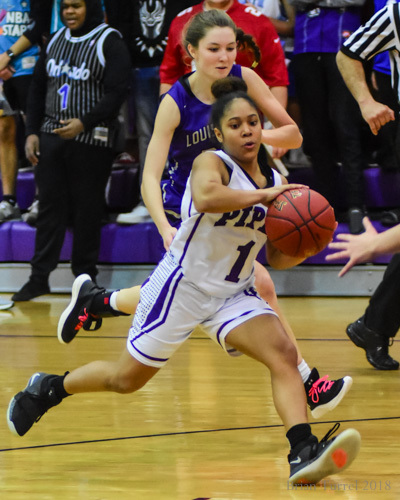 The Piper girls basketball team continued their unbeaten start to the 2018-19 season with a dominant 66-17 win over the Louisburg Lady Wildcats. 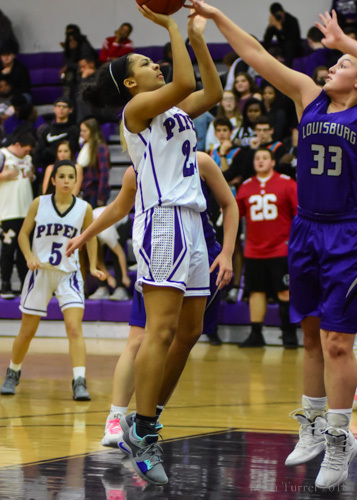 Piper controlled the game from the opening tip, using strong backcourt pressure to limit Louisburg’s shot opportunities, and getting reliable inside scoring from Ryan Cobbins and LaKya Leslie. 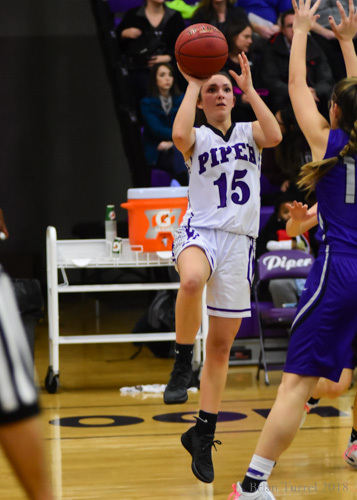 Piper held a 35-6 halftime advantage, and coach Shane Stout used the second half to get plenty of playing time for his reserves. 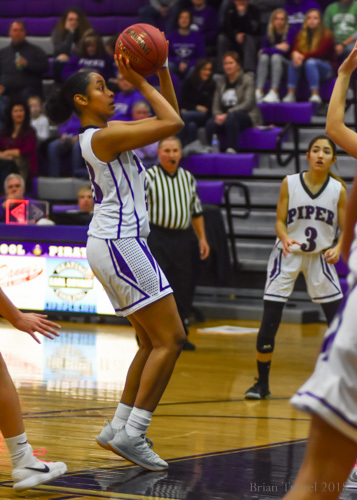 Play was briefly stopped in the first quarter to recognize senior Ryan Cobbins, as she passed the 1,000 career point mark, only the 3rd Lady Pirate to reach that goal. 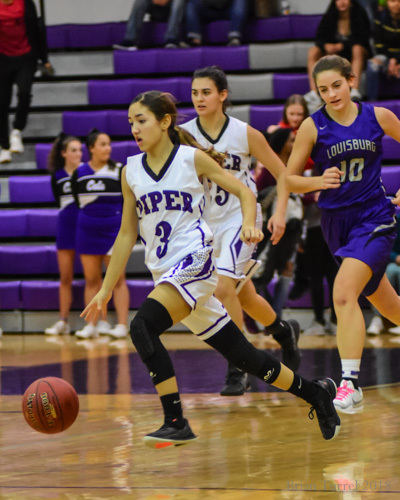 Cobbins led the team with 19 points. 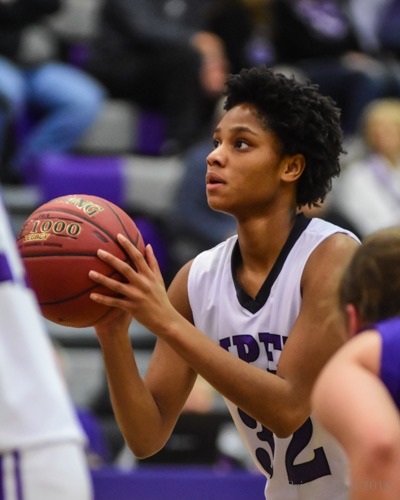 Junior transfer Ayreona Carter contributed 13 points off the bench. 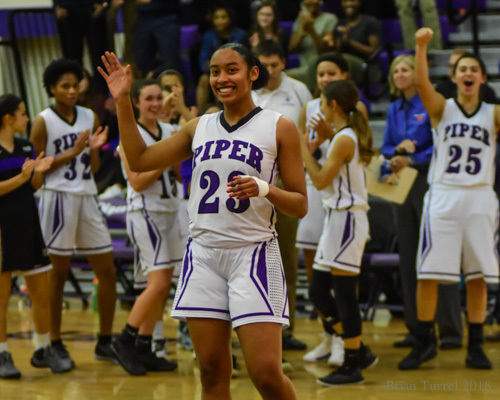 Piper advanced to 3-0 in the Frontier League (6-0 overall). 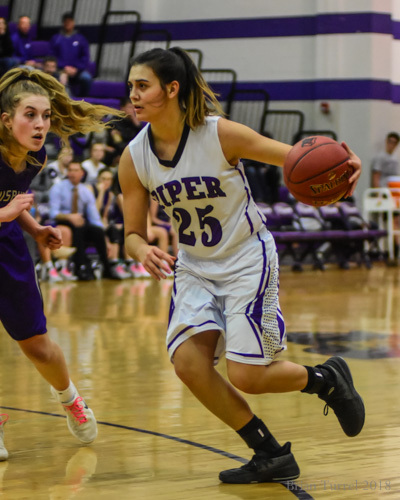 They’ll play next on Monday, Dec. 17, at Hayden Catholic High School in Topeka.